NBA – The latest news about Carmelo Anthony’s trade rumor is that the Cleveland Cavaliers is now showing interest of acquiring the New York Knicks superstar after declining the first offer of trade or swap between Carmelo Anthony and Kevin Love. According to the latest NBA Trade and Rumors, the Cavaliers and the Knicks are back in touch again of a possible deal that might send Carmelo Anthony to the Cleveland Cavaliers, to join his closest friend on and off the court, the Cavs superstar LeBron James and to form a super team that will match or even surpass the very own version of Golden State Warriors super team. But the problem is will the Knicks agree to Cavs deal without dealing Kevin Love in exchange for Melo? If somehow the Knicks agrees or not involving Love in a trade? The Cavs will now have a “Big Four” LeBron James, Kyrie Irving, Kevin Love and Carmelo Anthony, which counterpart the Warriors own “Big Four” Stephen Curry, Kevin Durant, Klay Thompson and Draymond Green. The defending Champion Cleveland Cavaliers are preparing their team to defend their title in a possible rematch against the Warriors which is more likely to happen? The acquisition of Carmelo Anthony in Cavs team will be a great addition to stand the Warriors super team. While the New York Knicks wants to rebuild their team to form a young team that will surround their future superstar of the Latvian nationality Kristaps Porziņģis. Will the Cavaliers and Knicks finally agree into something that both teams make happy? The deadline of NBA Trade is fast approaching until February 23, will Carmelo Anthony join LeBron James and the Cavs? Or will Kevin Love leaves the Land? Let’s wait and see in the days that will come before the trade deadlines end? 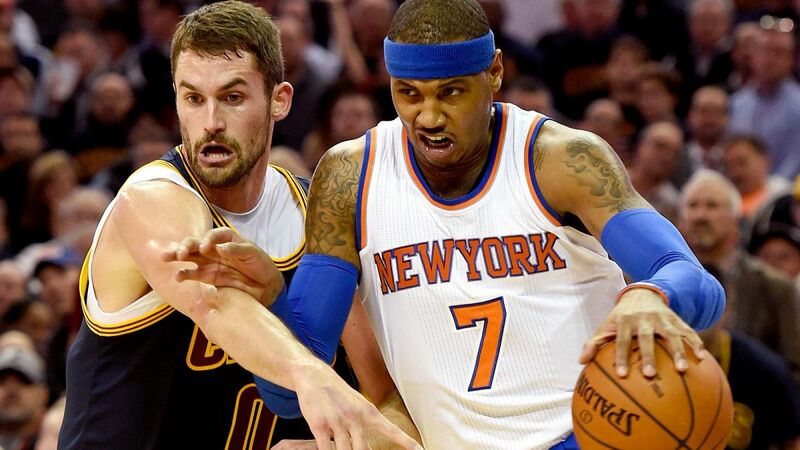 No Comment to " CAVS wants “Melo” But Refuses to give up Kevin Love "